Thank you for your interest in the Subhani Foundation Scholarship. 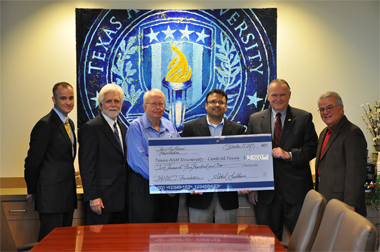 The Subhani Foundation awards scholarships to students in the Central Texas area seeking financial assistance to further their post-secondary education. Preference for the Subhani Foundation Scholarship is given to students who plan on attending Central Texas College or Texas A&M-Central Texas, and who wish to pursue a degree in an IT or STEM related field. Award recipients’ funds will be paid directly to the college upon receipt of evidence of attendance and registration. A copy of a class schedule also needs to be provided by the scholarship recipient. I have not taken the SAT. I have not taken the ACT. What do you want to study and why? Please list any extracurricular activities you were involved in during high school or in college, and leadership roles or awards you have received. Please list any community service activities or organizations you were involved in during high school or are currently involved in. How have your extra-curricular and community service activities help shape who you are today? Please list other scholarships you have been awarded or anticipate receiving. Please provide a summary of why you are seeking financial assistance, and how being awarded this scholarship will help you achieve your college goals.